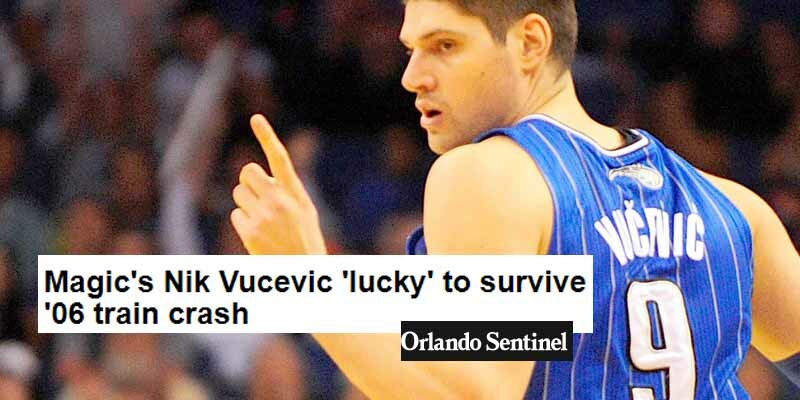 On Januray 23 2006, a 15-year-old Nikola Vucevic and his father Borislav survived a deadly train crash in his native Montenegro that killed 47 and injured 200 after the train’s brakes had failed. There were 250 passengers in total. There was another basketball player from a different age group who died in the crash. His coaches didn’t his teammates attend the funeral because it would be too much stress. Even then, a lot of the players couldn’t play at the same level again.